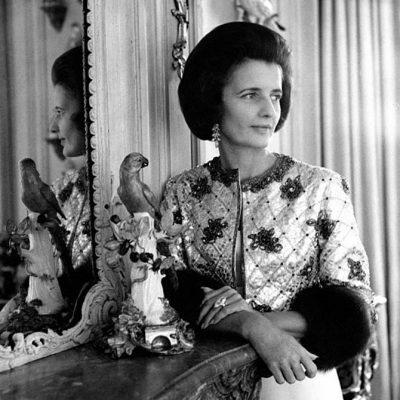 I may be biased, but generally I believe trends flow from fine jewelry to costume collections. Well, not quite this time. 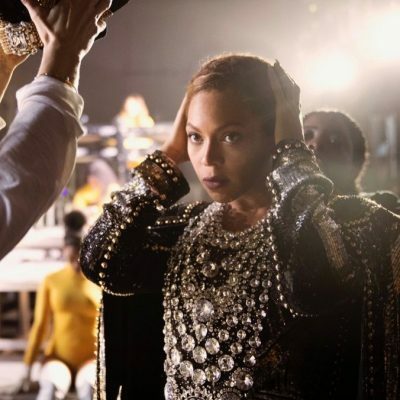 The fabric and costume chokers, that have been everywhere for at least a year, have inspired fine jewelry designers into creating all kinds of spectacular gold and bejeweled chokers and the stylish set to start wearing them. Bejeweled chokers were the strongest jewelry trend to emerge from the MET Gala. I know what you are thinking—fine jewelry chokers have been around for a while. It’s true. The look has roots in turn of the twentieth century styles. During the Edwardian era, wide chokers were ornate diamond pieces, sort of similar in style to the Nirav Modi necklace Karlie Kloss wore to the 2017 Oscars. At the time they were called Dog Collars. It’s also worth noting black grosgrain—like the chokers worn today—was once woven through many of the diamond Dog Collar designs or diamonds were sewn directly on grosgrain. Chokers also had a heyday in the 1980s. Princess Diana had several pearl renditions in her jewelry box. The piece Selena Gomez wore to the MET Gala is a vintage Tiffany Blue Book jewel from 1982. 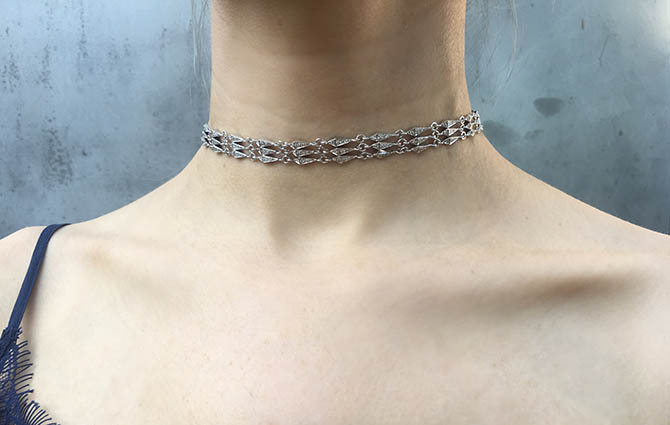 Having said all of that, I still believe the contemporary fabric chokers are the reason why the style has come back in such a big way for fine jewelry. They ignited the trend of the moment. See some of the looks from the MET Gala below as well as beautiful new bejeweled chokers. LAUREN SANTO DOMINGO in a wide collar choker, girandole earrings and antique starburst style diamond necklace from Nina Runsdorf. The layered jewels on Lauren are reminiscent of the way pieces were worn in the Edwardian era. SELENA GOMEZ in a Coach dress and Tiffany Archival choker with rhodolite and diamonds from the 1982 Blue Book collection. SOFIA RICHIE in an Topshop dress, Flapper diamond choker and Ritzy necklace and earring set from Messika. COLETTE 18k gold and diamond Marrakech choker and 18k gold and diamond Liaison choker in the shape of a belt buckle. DEBORAH PAGANI revealed her tennis bracelet spin on the choker necklace on Instagram. The work in progress is called a Five Row Tennis Choker. 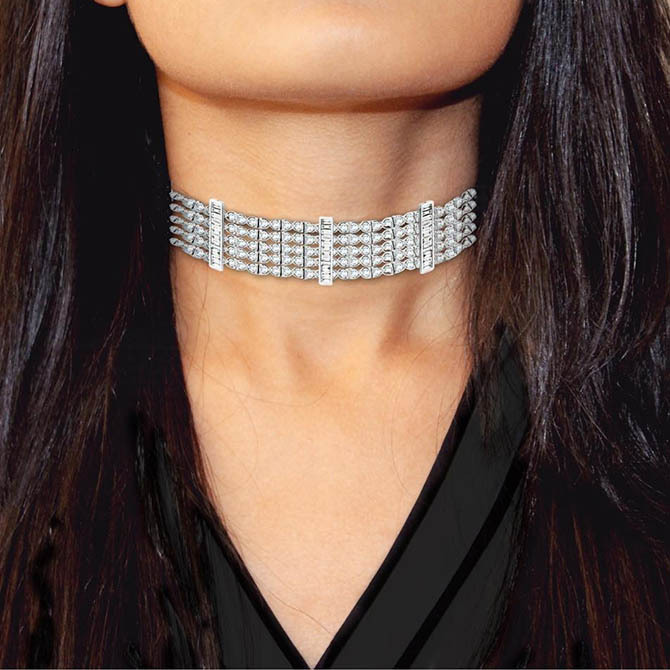 KARMA EL KHALIL has been out in front of the bejeweled choker trend. She is the designer who created Kim Kardashian’s ‘Saint’ Choker. The Triple Stardust Choker in white gold and pavé set diamonds is one of her latest creations.